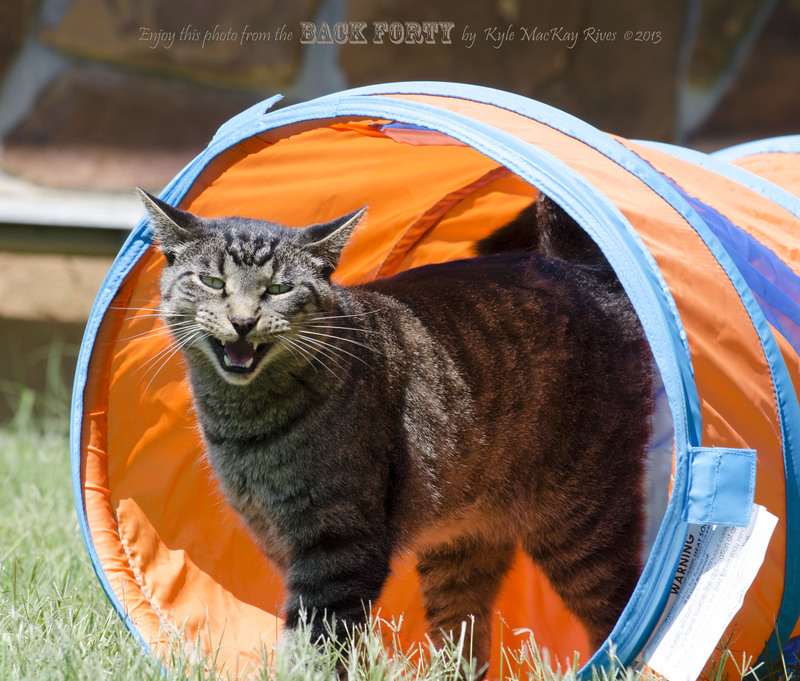 This entry was posted in Pet Portraits, photography and tagged 2013, agility, cat, outdoors, pet, pet portrait, photo, Photograph, Photography, summer, Tiger. ← Agility Dog, the Beginning! I laughed as soon as I saw this shot. It makes such a good companion piece with the previous one of Rocket. Their attitudes are such a contrast.